Many people may have already heard about aromatherapy, which has become famous in the modern era due to its holistic way of treating certain illnesses. These may range from bacterial infections to depression. With the help of essential oils, enthusiasts believe that this can provide relief for thyroid conditions. Below we discuss what are the best essential oils for your thyroid. For centuries, different types of plants, resins, seeds, and wood have been used by people to heal the body. However, unlike any modern treatment methods, varied techniques were used to promote positive impact to the emotional, mental, physical, and spiritual aspect of life. Fortunately, modern times have revolutionized these methods with the convenience of having pure, healing essential oils in tiny glass bottles. The use of certified therapeutic and organic grade essential oils daily can provide incredible healing benefits to the body. The gentle distillation of high quality essential oils from plants has been done by experienced growers worldwide who have patiently harvested them at the appropriate moment. What Essential Oil Are Good for the Overactive Thyroid? What Essential Oil Are Good for the Underactive Thyroid? Basically, you should know that the thyroid gland is tiny and shaped like a butterfly. It produce and release hormones. The thyroid gland also helps in the regulation of the brain function, emotions, metabolism, and almost all of the processes of the body. 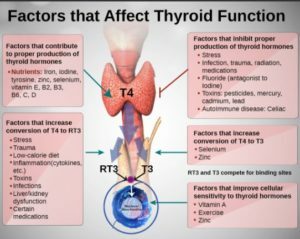 There might be a lack of medical research that can back the direct correlation between the use of essential oils and the health of the thyroid. However, studies and anecdotal evidence would suggest that such can aid in the treatment of the symptoms of certain thyroid conditions. The thyroid can also be overactive in which the body would produce too much thyroid hormone. This condition is called hyperthyroidism with certain symptoms such as anxiety, heartbeat irregularities, muscle weakness, and weight loss. Hyperthyroidism may cause the thyroid gland to feel and look inflamed. Although essential oils may not be able to stop the overproduction of thyroid hormone, some oils can help in treating the symptoms of hyperthyroidism. Here are some information about essential oils that can help in alleviating the condition of the ailing thyroid gland. There are anti-inflammatory, immune-boosting, and pain-relieving properties in frankincense oil, which can help in treating dry skin and repairing the skin barrier. 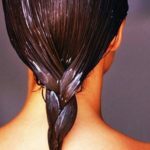 You can relieve a hyperactive thyroid by rubbing a few drops of the oil on dry skin that was caused by hyperactive thyroid. 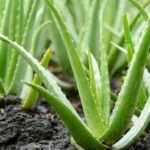 This may relieve flaking, itching, and helps in healing the skin. 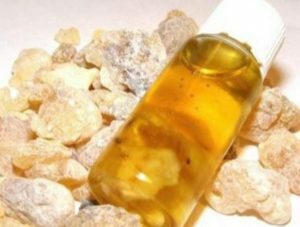 One of the popular properties of frankincense is that it balances the hormones, while easing inflammation. Using lavender oil has been a tradition for centuries because of its soothing agent that can promote relaxation. Anxiety caused by hyperthyroidism can be relieved with lavender oil. 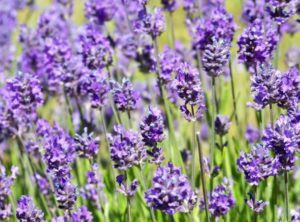 In fact, the release of lavender scent in the air has been found out to be effective in increasing the well-being and feelings of calmness. Our favorite lavender oil can be purchased here. Another soothing effect that has been found out by research is the use of lemongrass. This is due to its powerful anti-inflammatory properties. Basically, you can topically apply lemongrass oil in inflamed or swollen thyroid area in order to provide relief. Our favorite lemongrass oil can be purchased here. 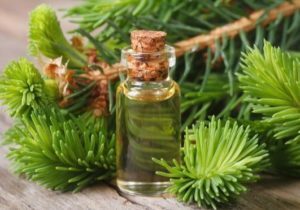 You may have heard about essential oils to relieve skin conditions, but pine is another type of essential oil that can treat sore joints. However, it is strongly advised that it shouldn’t be ingested because pine oil is said to be toxic in nature. Our favorite pine oil can be purchased here. When it comes to anti-anxiety properties, sandalwood oil known to be effective as it is backed by research. Topical application of sandalwood oil has been proven to be effective when applied to pressure points. Likewise, it can be used to treat anxiety caused by overactive thyroid by applying sandalwood oil via an aromatherapy diffuser. Our favorite sandalwood oil can be purchased here. Methyl salicylate is the active ingredient found in wintergreen oil. This is a type of pain reliever that underwent research, which can be comparable to aspirin. Wintergreen oil is effective when used externally for the treatment of aching joints and stressed muscles due to certain thyroid conditions. 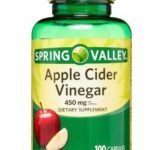 Our favorite wintergreen oil can be purchased here. The condition of the thyroid that causes it to stop producing sufficient thyroid hormones is called hypothyroidism. Some of the symptoms include difficulty of getting pregnant, joint pain, and weight gain. Take note that the symptoms of underactive thyroid can easily be missed in most cases. As a matter of fact, the symptoms can sometimes be difficult to notice. Remember that thyroid hormones can’t be substituted by just using essential oils. However, they can aid in some of the symptoms of hypothyroidism. 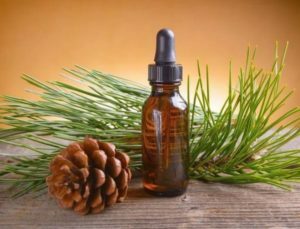 If you are looking for a potent and fresh-smelling oil to effectively treat dry skin, as the popular symptom for thyroid conditions, then cedar wood could easily qualify. You simply mix a few drops of cedar wood oil with some carrier oil, grapeseed oil, or jojoba oil. Then, apply this typically to be able to relieve dry skin. Our favorite cedar wood oil can be purchased here. For centuries, myrrh has been noted to be an effective anti-inflammatory agent. If you want to create a potent topical remedy for your own, then you should know how to mix a few drops of myrrh together with an anti-inflammatory oil. 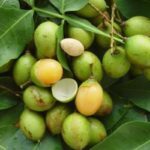 Such would include almond oil, as a sweet carrier oil to create a potent topical remedy. 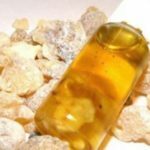 Our favorite myrrh oil can be purchased here. 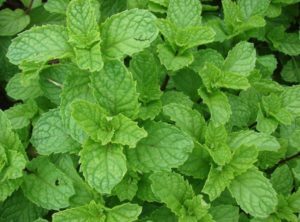 The use of peppermint oil to treat certain conditions has been widely known. The most popular effect of using peppermint oil is to aid in the digestion process in the body. Moreover, it can reduce nausea when inhaled. Most of all, it can cool any inflammation. Our favorite peppermint oil can be purchased here. 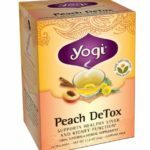 This can also be used to fix sluggish metabolism due to the effects of underactive thyroid. Simply add food-grade peppermint into a cup of decaf herbal tea every night. In addition, you can put some essential oils to the diffuser or you can dilute it in the carrier oil and apply topically on your belly by massaging. Our favorite cedar wood oil can be purchased here. Clinical trials have determined that rose geranium oil is an effective anti-inflammatory agent. Inflammation caused by underactive thyroid can be treated with the application of rose geranium oil topically. Hypothyroidism is also known to cause anxiety in which rose geranium oil can fix. Geranium would support the adrenals and can lift the spirits. Our favorite rose geranium oil can be purchased here. 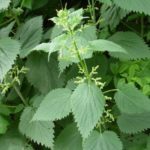 Spearmint or Mentha spicata has been found to be an effective natural analgesic to treat joint pain. Topically using this type of essential oil can help improve the circulation and relieve pain in the process. Our favorite spearmint oil can be purchased here. The treatment of thyroid-related conditions can be done with many traditional methods. In fact, most of them can be used in conjunction with prescribed treatments. Essential oils, for one, can complement with the use of prescription drugs. However, this must be discussed accordingly with your doctor. In the case of hyperthyroidism, the most common treatment is the use of anti-thyroid medications, beta blockers, or radioactive iodine treatments. In some cases though, it will be necessary to apply thyroid removal surgery. On the other hand, hypothyroidism can be often addressed with the use of synthetic thyroid hormones. Such drugs will replace the thyroid hormone in which the body wasn’t able to produce. In the case of serious thyroid imbalances, essential oils are no longer necessary. 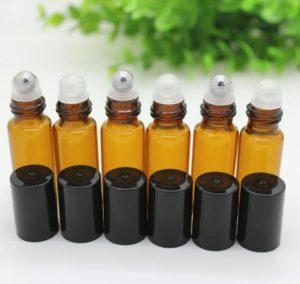 Despite the fact that there are some proofs that would favor the use of essential oils for the treatment of certain thyroid conditions, some cases can lead to side-effects. Such would include organ damage, sluggishness, and weight gain. In the event when you suspect you have a thyroid condition, it is important that you discuss the matter with your doctor first before even trying to use popular essential oils. Take note that essential oils are mainly non-toxic for humans, even when diluted and applied on skin or diffused in the air. However, essential oils are not intended to be ingested internally. The only problem is that essential oils are not regulated by the Food and Drug Administration in which the ingredients may have varied effects or they can wildly vary. 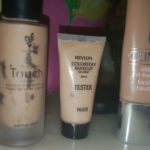 For this reason, you need to purchase only from trusted suppliers. The general rule for the use of essential oils for the treatment of thyroid conditions is essential to achieve better results. For instance, it is advisable to use essential oils with stimulating properties or underactive thyroid. On the other hand, essential oils with calming and sedating properties can be used to treat overactive thyroid. If you would want to treat certain conditions of the thyroid using home remedies, it is best that you consider high quality, organic, and therapeutic-grade essential oils. At the same time, you need to put a few drops of essential oils with base oil of fractionated coconut oil or rosehip oil in a glass roller-ball bottle. Some symptoms of thyroid conditions can be treated with essential oils other with supplements like boron. However, there is not enough research to be able to provide proof toe the direct correlation between the treatment of thyroid conditions and essential oils. That is the main reason why in the first sign of any thyroid condition, it is best to discuss the matter with your doctor before applying any home remedies.